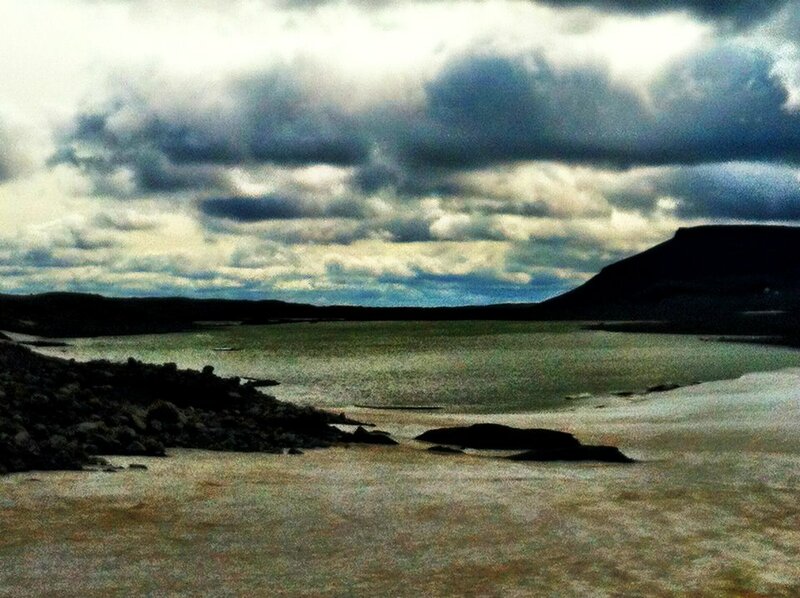 Our first full day in Iceland after the Blue Lagoon was a tour around the famous Golden Circle on a Superjeep! I’ve never been in one of these before and it was such a wild and fun ride. Superjeep picked us up right on time early in the morning before making two more stops to pick up 3 other passengers. The 6 of us made the tour intimate which was really nice because we were able to change and add on different stops throughout the day depending on how we all felt. My biggest draw to Superjeep was being able to go off-roading on Iceland’s rough terrain while enjoying the natural wonders along the Golden Circle. Bjourn was our funny and very enthusiastic tour guide who we spent the entire day with while providing us with great information on all the attractions we were seeing and the history behind them. 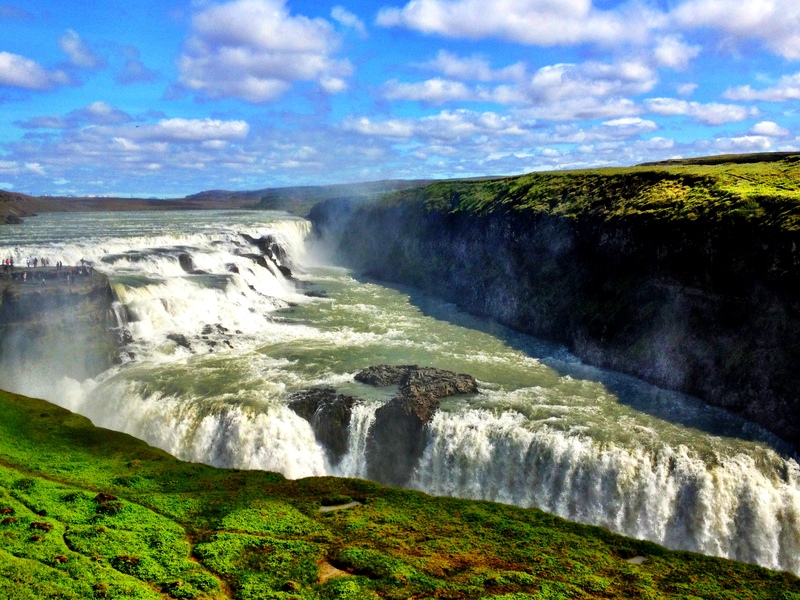 The Golden Circle tour is an absolute classic excursion that you can drive around yourself or opt to take a tour. I recommend taking a tour because the tour guides are all very informative and seem to know where the other tour buses are so not everyone is at the same place at the same time. SuperJeep made the experience that much more personal for us and because of our smaller group, we didn’t have 15-20 minute rest stops where we had to wait for a lot of people to get on and off a bus. 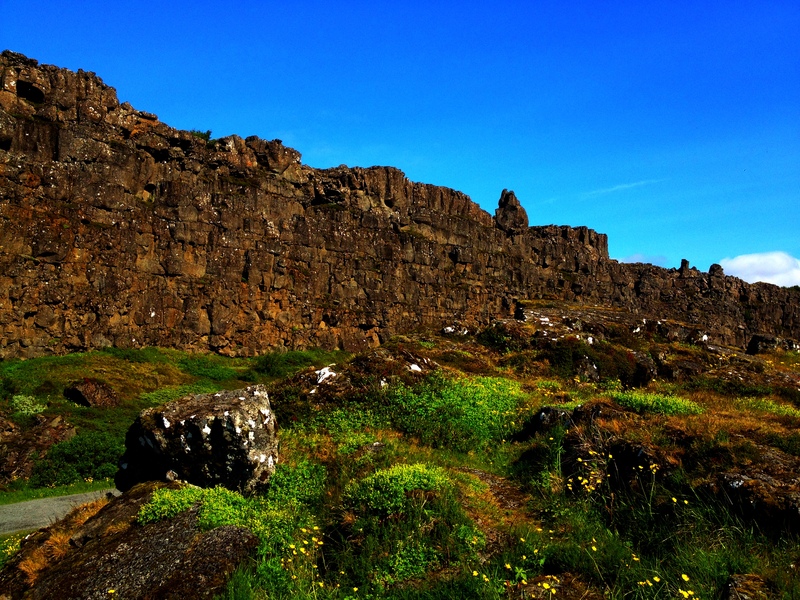 The first stop was Thingvellir National Park, an area of great historical importance for Icelanders as parliament was founded here over 1000 years ago. We were able to stand where Viking settlers stood centuries ago. 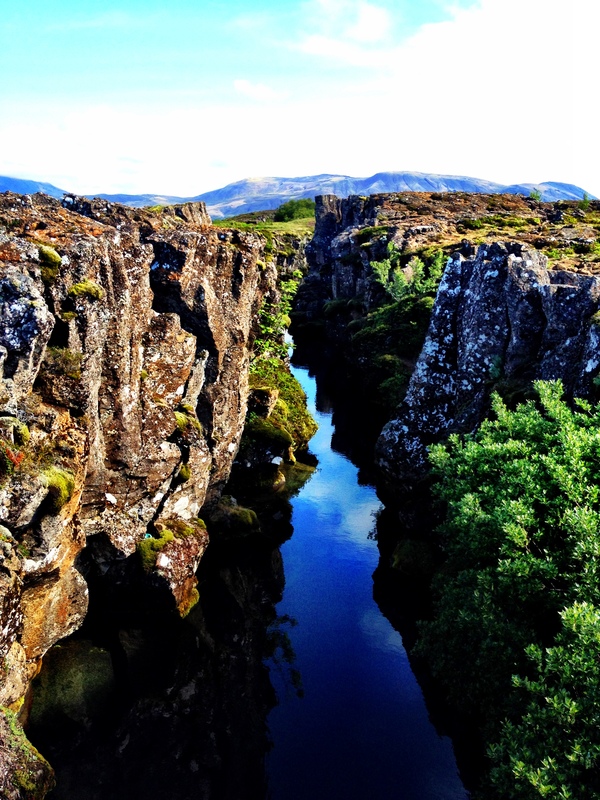 Gently moving tectonic plates run across Thingvellir, pulling apart around 2cm a year making it possible to stand on two continents at once! You can also choose the option to go snorkeling between these rifts in a dry suit! 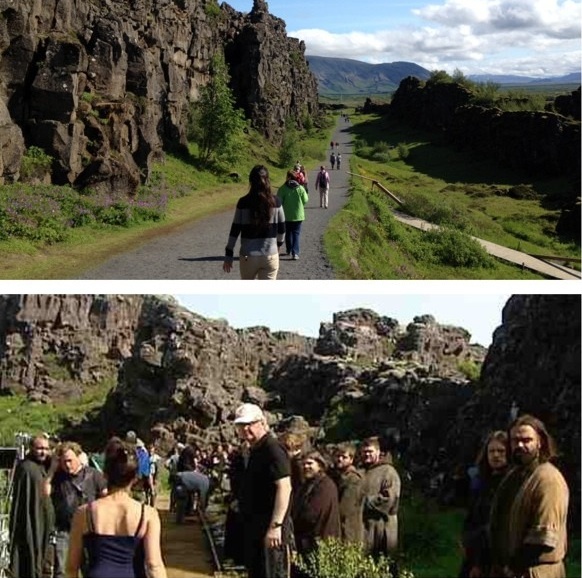 Apparently Game of Thrones is being filmed in Iceland right now as opposed to the winter months and look we were at the exact same location! If we’ve only known, we might have pushed our trip back a few weeks. 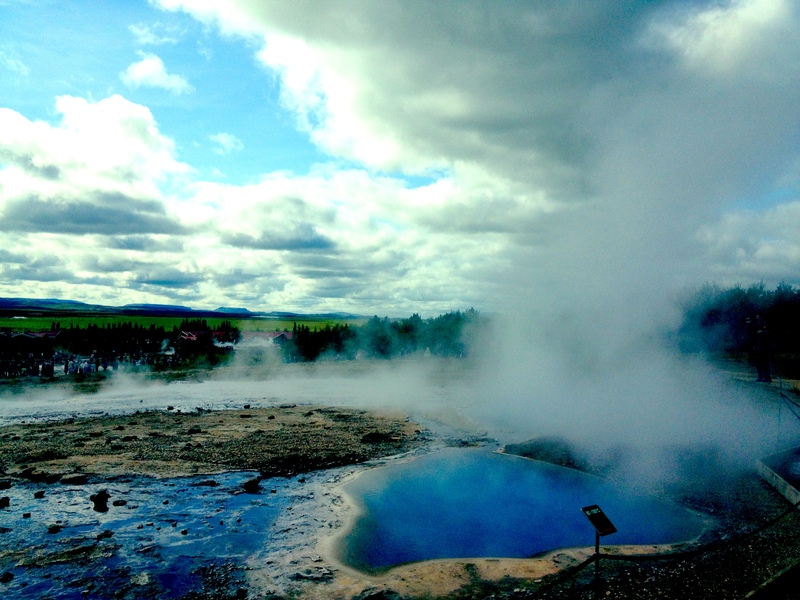 Next we headed to the geothermal area at Haukadalur where we walked through hot springs, steaming streams and geysers. 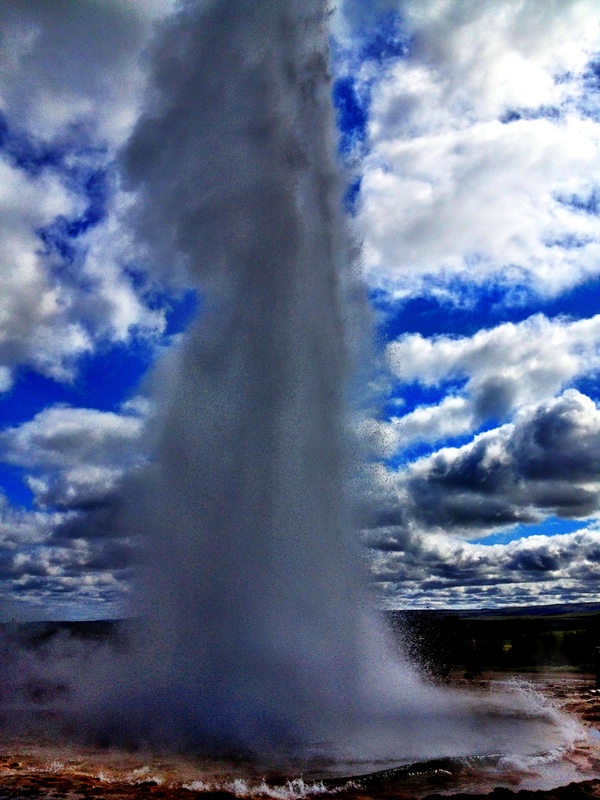 The most popular attraction was Strokkur which is one of the largest and most powerful geyser and you can expect an eruption roughly every 5 minutes. We explored the area before heading down to watch the geyser erupt. You can tell an eruption is about to happen when the blue/green water bubbles up and suddenly spouting almost 30m into the air. 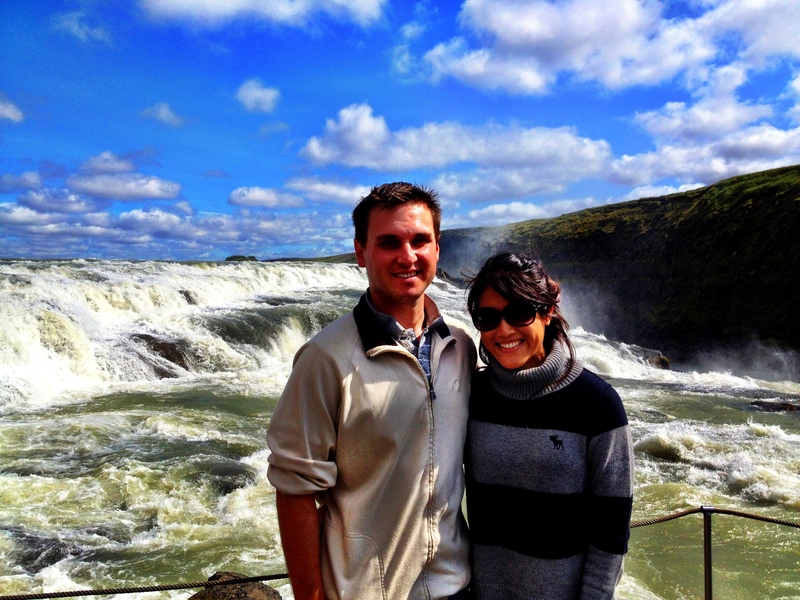 On our third stop of the day, we headed to the Gullfoss waterfalls, some say the queen of Icelandic waterfalls. We had a short hike down a narrow pathway to the waterfall where you can start to feel the spray of the water. The power of the water as it tumbles over two tiers before crashing 32m into a ravine is truly outstanding. 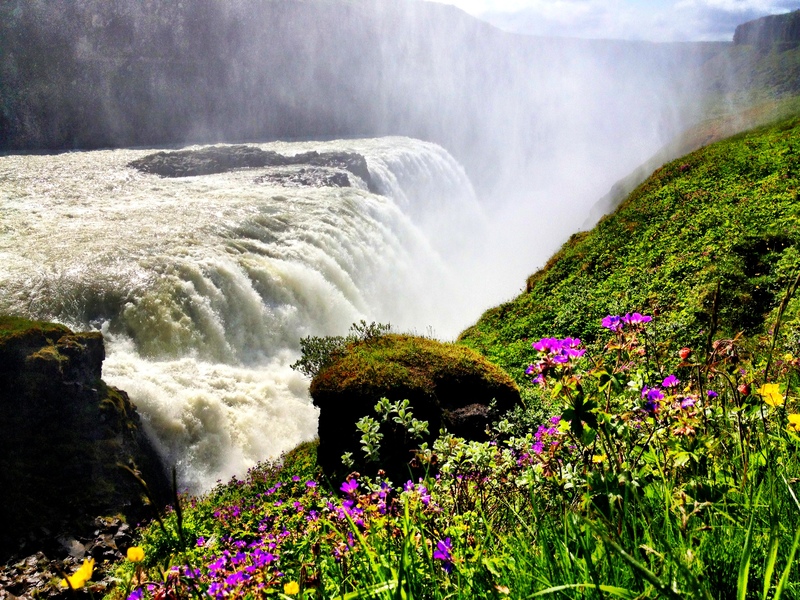 It’s hard to describe how big and powerful this waterfall is by pictures. It was really stunning just standing there next to the roaring sounds of the water crashing below you and looking at what nature has given us to marvel at. 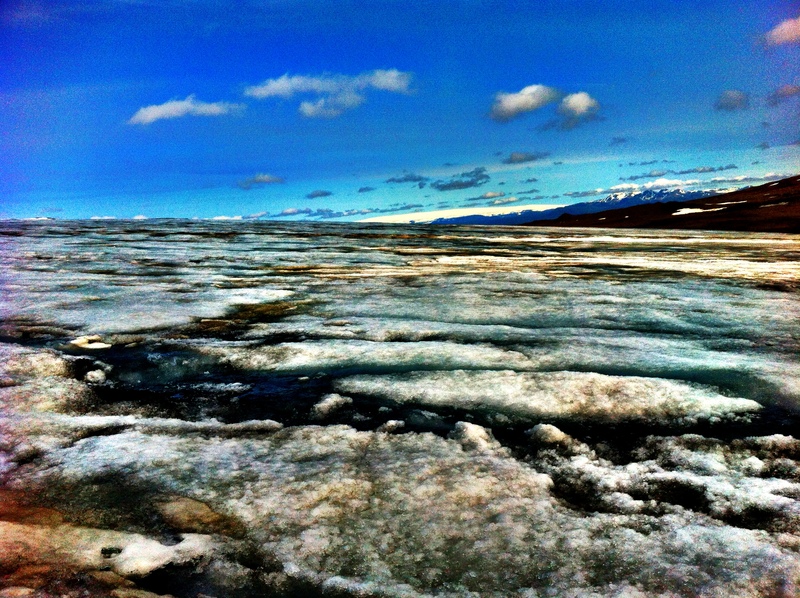 We made a detour to visit the Langjokull Glacier which is technically not part of the Golden Circle route. 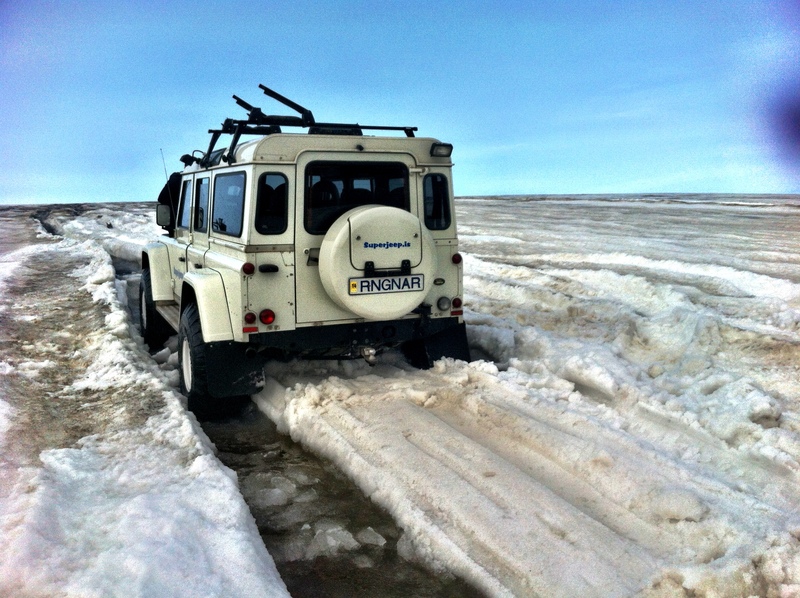 Because we were in a Superjeep, we were able to drive on the very rocky and steep terrain to the Glacier most tour buses aren’t able to drive on. He took us off-roading on the volcanic rocks and through deep stream crossings. Definitely felt like a roller coaster ride with the best views. We had two people in our jeep who had signed up to go snow snowmobiling so we dropped them off to get suited up before heading down to the glacier to meet them. Since the three of us hadn’t signed up for the snowmobile, Bjourn took us in the jeep up the glacier itself before getting stuck halfway in the snow. He was so persistent on getting us further and further up the glacier which was so funny (for us) to watch and get to ride along. Since we still had some time to kill before the other two were back, we hiked along the glacier to the lake. We couldn’t get too close because we weren’t sure how sturdy the ice that had formed around the lake would hold up. After the glacier, we drove to Faxi, a small yet beautiful waterfall before continuing to Kerid, an impressive 3000 year old explosion crater. Apparently they hold summer concerts here where the band floats in the middle of the crater and people watch from the side. 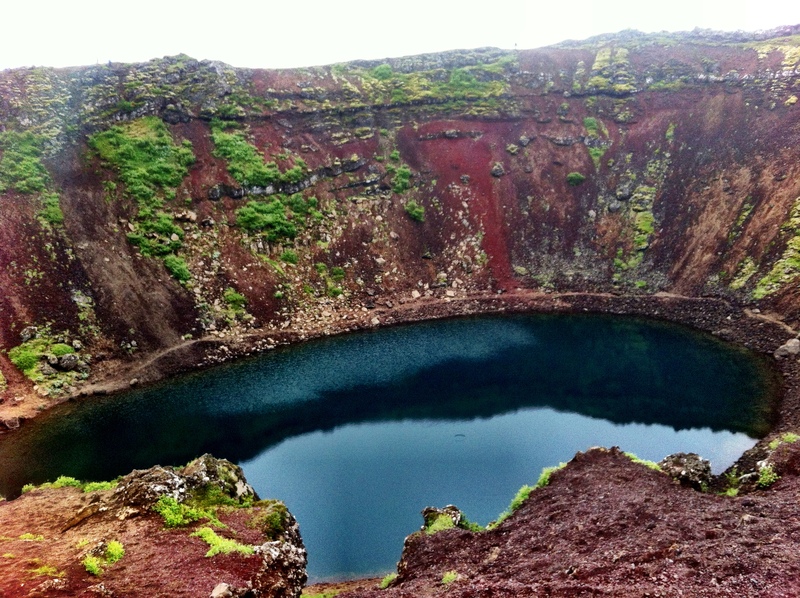 The blue-green lake in the middle is stunning contrasted with the green moss-clad and colorful rock walls. Finally, after a long, but very fun day, we headed back to Reykjavik. Not before stopping off the side of the road to feed the horses. 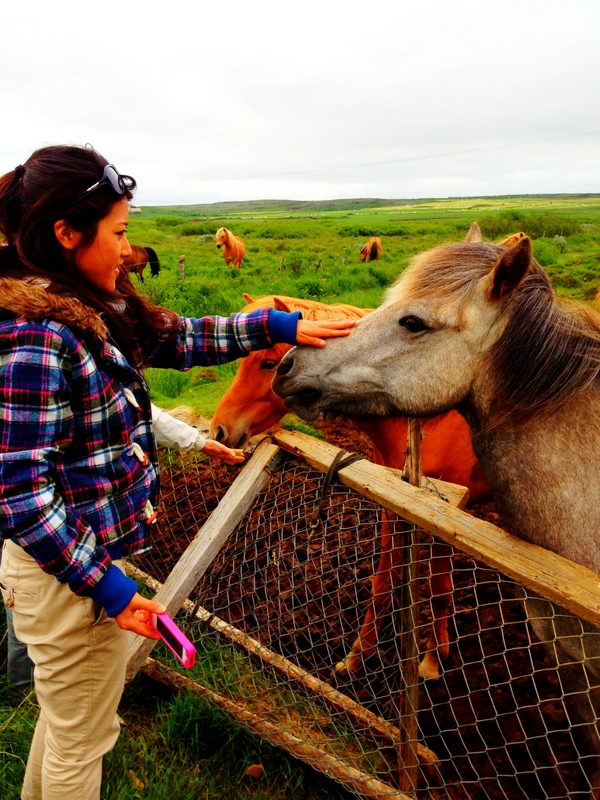 Iceland has a TON of wild horses. There is 1 horse to every 4 people (roughly 300,000 people in the country). Bjourn had a couple loaves of stale bread so we had a blast getting up close to these beautiful animals. 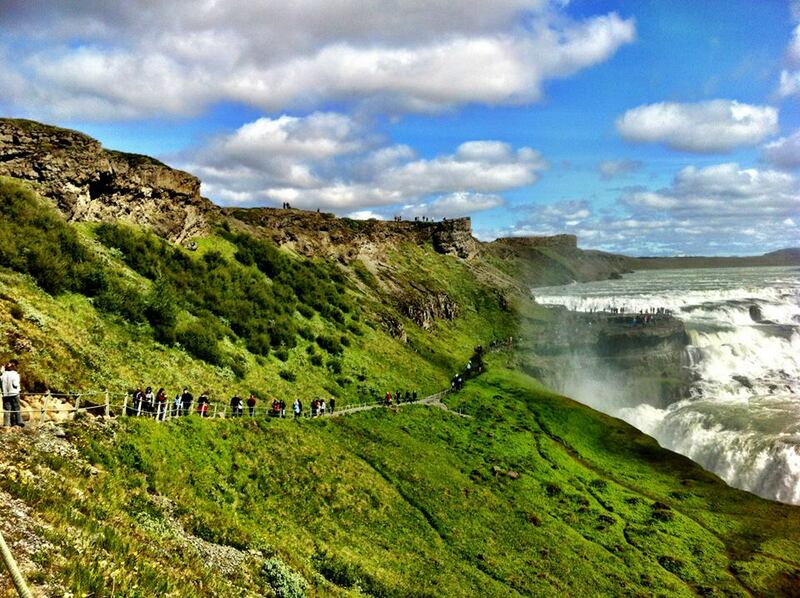 Superjeep kicked off our Iceland adventure in the best way possible. We saw and learned so much on this day trip, who knew you could cram in so many attractions all in one day! Riding the superjeep around Iceland was thrilling with surprising turns every moment of the day when Bjourn would suddenly just pull off the road and start driving across the volcanic terrain. Thanks for a great time and keeping us on our toes! *Superjeep was kind enough to cover our costs for this tour in exchange for writing about this tour. As always, all opinions are my own. 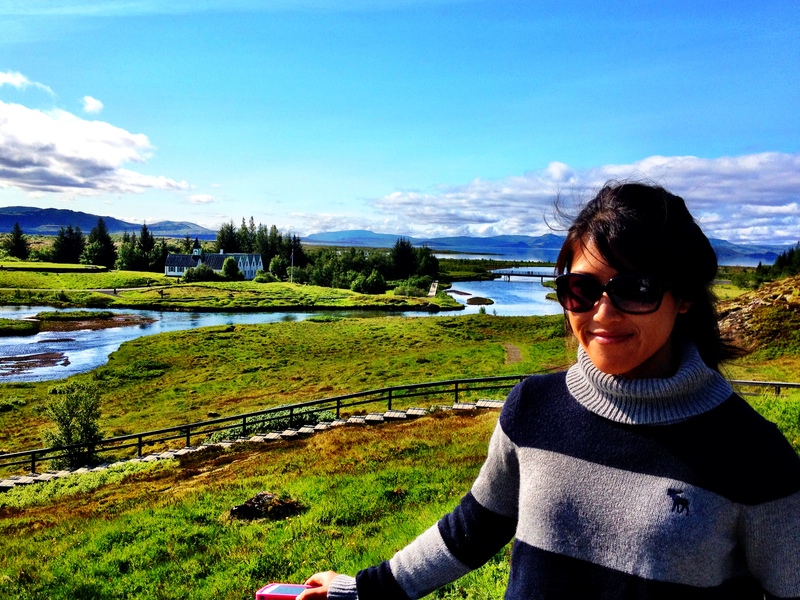 Great write up Andee, you should be the US Ambassador to Iceland! I definitely want to go back after seeing all of your pictures, what an amazing place and gracious people. Sure looks like a great trip. When I was in Iceland last October we tried to drive the trip in a rental car and eventually the snow made us turn around. Super Jeep for me next trip.